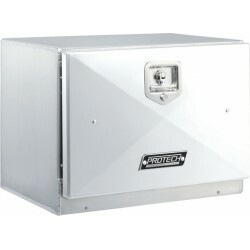 Aluminum Storage Box - Heavy .125 Gauge, Drop Down Door, Stainless Steel T-Locks Keyed Alike, Smooth Shinny Polished Door Finishes. 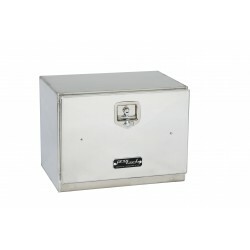 Double Side Swing Door Boxes, Available in Driver and Passenger Side also. Custom Size Storage Boxes Available.